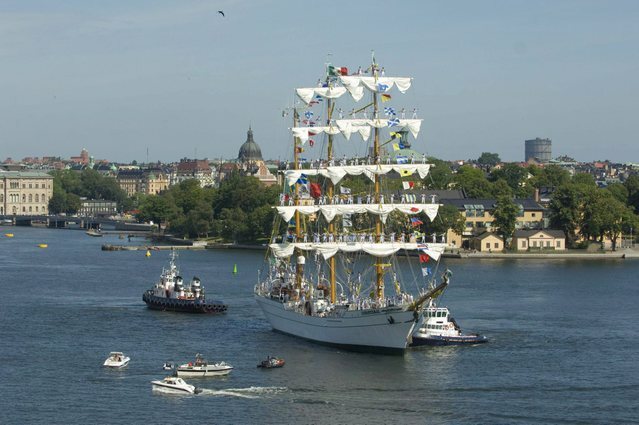 Mexican three-masted barque ARM Cuauhtemoc is pushed towards the quay with the crew manning the yards in Stockholm, Sweden, 26 July 2007. 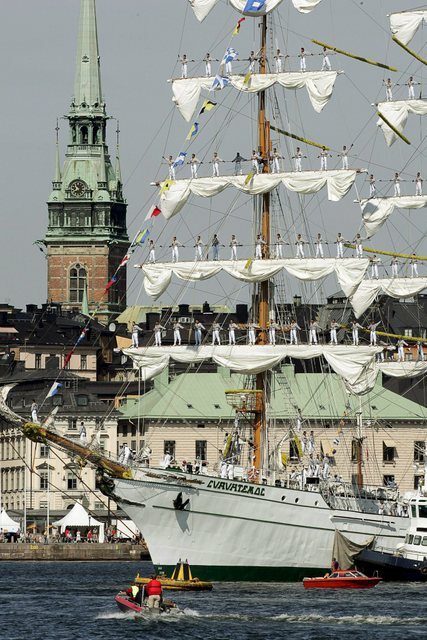 118 sailing ships of all sizes will gather in Stockholm over the weekend for the start Tuesday of the last leg of the Tall Ships' Races finishing in Szczecin, Poland, 04 August. EPA/LEIF R JANSSON . 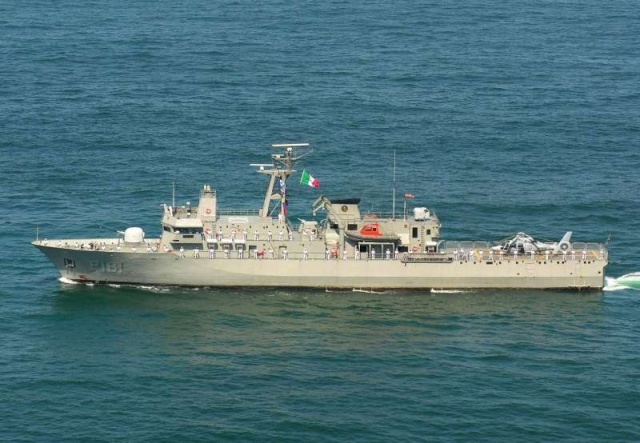 Pacific Ocean (June 21, 2005) - The Mexican Navy destroyer ARM Netzahualcoyotl (D 102) underway in the Pacific Ocean as it operates near USS Ronald Reagan (CVN 76) during Passing Exercise (PASSEX). 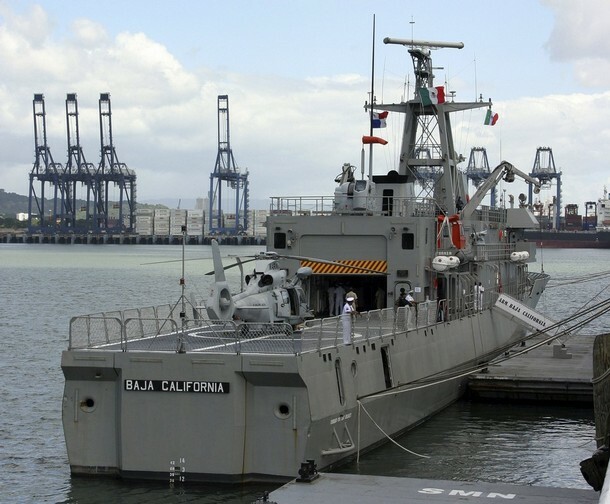 Ronald Reagan is currently underway in the Pacific Ocean conducting routine carrier operations. 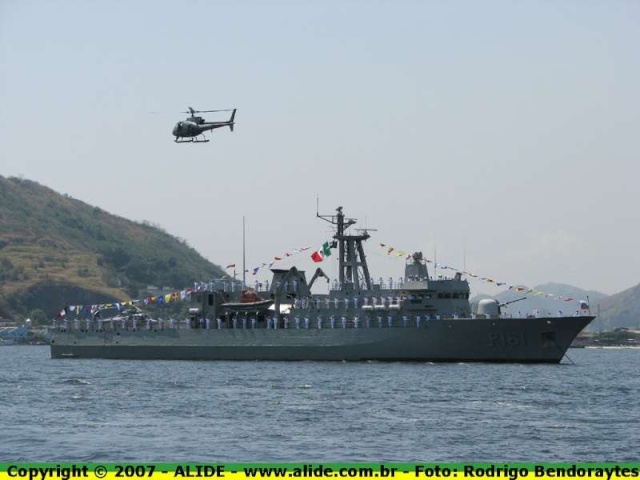 ARM Oaxaca (P 161) - 07/09/2007 - Guanabara Bay, in Rio de Janeiro state (Brasil) - during the Parade in homage of the bi-centenary birth of Admiral Tamandaré, protector of the Brazilian Navy, and also homenage of the Brazil Independence Day (7th September 1822). ARM Oaxaca (P 161) : Rio de Janeiro, 08/09/2007. Ce sera une belle frégate à n'en pas douter.